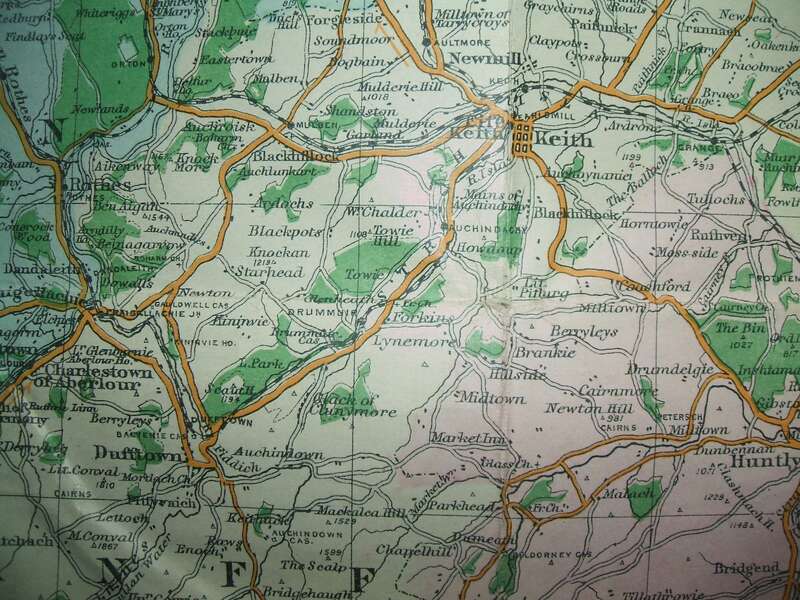 Tim Austin from www.antiquesatglass.co.uk has an old map of Aberdeenshire (probably 1800’s) and he thought we might like to see a photo he has of the Glass area. Tim mentions that it’s really interesting trying to work out how the roads have changed. For example, you can see how the A920 has evolved out of several older roads and a number of roads are now longer there (or not as public roads). Click on the map for a larger version. At the moment, the map is not for sale, but if anyone is interested in seeing it or other parts of it then please use the details from the www.antiquesatglass.co.uk web site to get in touch or make a visit. Posted on 01/10/2013 by Glass Community Association.